So, here is my surprise — the Warriston pattern is now published, and when you buy it you will also receive a copy of a new digital magazine, produced and edited by me. Since 2007, Textisle is the name I’d been using for a large academic project. 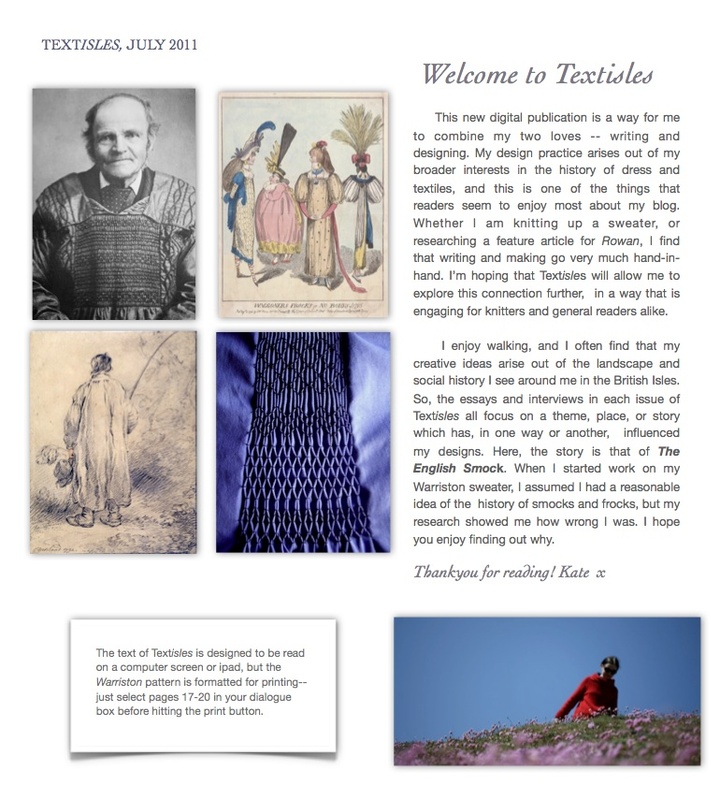 It is too good a name to go to waste, and Textisles pretty much perfectly describes the content of this new venture – in which, in the context of my new designs, I explore textiles and their history around Britain. I’ve produced it pretty much in the same way that I do my features for Rowan or The Knitter – here you will find ‘scholarly’ or ‘educational’ material, written to appeal to a general audience. The content of Textisles is designed to be read on a computer screen or ipad, but the Warriston pattern is formatted at a higher resolution for printing purposes. In the first issue you can read ‘Smocks are from Mars’ (in which I look at the gender identities of ‘smocks’ and ‘frocks’) and ‘Cover Up’ (in which I explore the the history of the iconic English ‘smock-frock’). There is also an interview with lovely Claire Smith (who was inspired to experiment with historic embroidery techniques after working with 19th century smocks at the Museum of English Rural Life) as well as a resources page (in which you can find out where to go and see 19th century smocks, or find out more about them). Of course, you don’t have to read any of this if you aren’t interested – if so, just skip straight on to the Warriston pattern and get knitting! 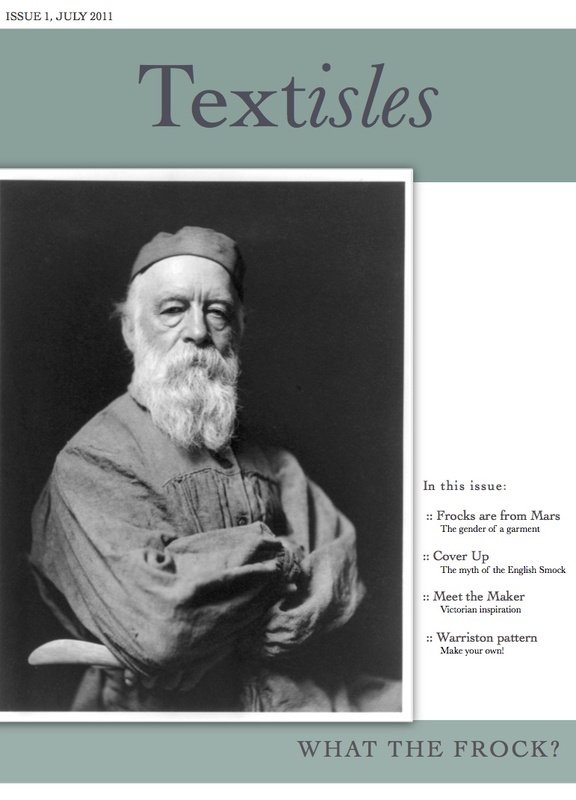 Anyway, I am hoping that knitters will enjoy the content as well as the Warriston pattern in the first issue of TextIsles. It has been produced in the context of the employment issues I described in my last post, and putting it together has really rather cheered me up. You can now find Warriston, together with issue 1 of Textisles here or here! Congrats for the wonderful work you have done!! I’m really impressed by the amount of work it represents and I really enjoy the topics! you deserve some holidays!! 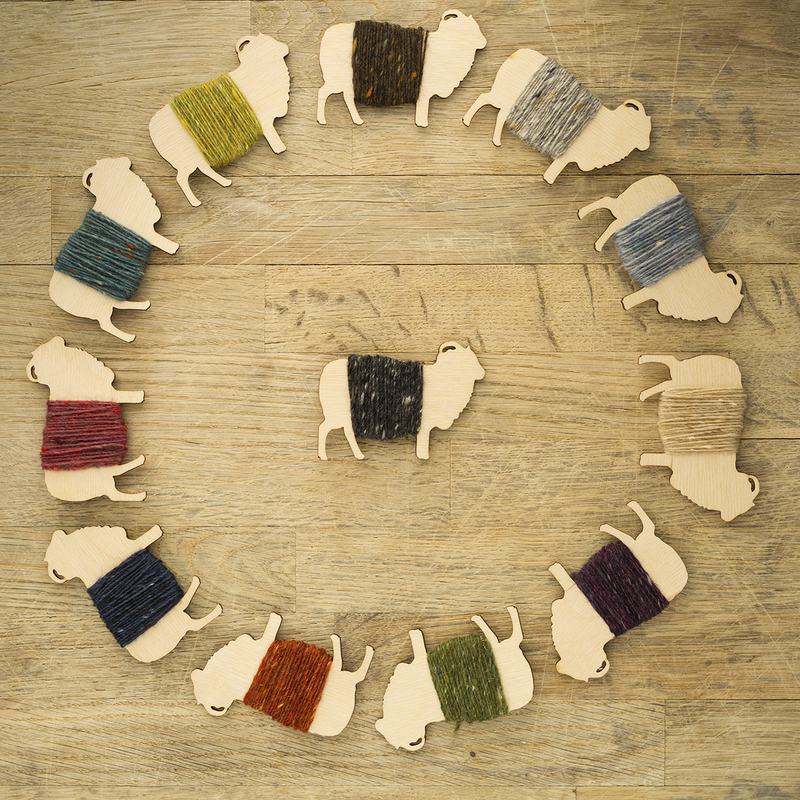 and for me, I’d love to knit warriston if I had time …. Unfortunately I have to finish my PhD first!! but i’ll think about you in time!! soon!! Best regards! Thank you, Kate for creating such a delightful update on the idea of a smock and for all the background notes to go with it. I particularly liked the thoughts on gender. Throughout my life they have been a feature of various stages of my life. First when I was at school we wore gingham smocks (usually made by Mum) to protect our clothes and then when I was pregnant with my first child in the early 80’s we were only just moving away from the idea of maternity smocks to more trendy designer outfits (I wore both as my friends and I shared the more expensive clothes with each other). Then when I did my degree at art school I bought a smock for working in the ceramics studio which was not dissimilar to the Warriston. Finally I thought I had really ‘arrived’ when I bought a denim smock from a Japanese lifestyle store and decorated it myself with embroidered textiles! Thank you for bringing back memories of smocks and their meanings for me, I’m really looking forward to the next issue and wish you great success both in your academic and personal journeying. This is brilliant! I get a pattern AND interesting stuff to read. Thanks! Wille there be more issues? Bravo! What an amazing undertaking – thank you for your hard work, and enjoy some much-deserved ‘unplugged’ time! Thankyou, Textisles What the frock? is a great read. I am glad i bought it. Looking forward to the next issue in August. Oh, what a wonderful idea! I can’t wait to go and get this. I really hope that this is the beginning of a run of Textisles. This is fantastic! You are so industrious, can’t wait to get my hands on this! Wonderful! I can’t wait to pour over this! Amazing! You just can’t keep a good woman down!! I’m looking forward to the pattern and the nesletter. Craft and intellect – what more does a girl need? Wow! What a great idea and what an amazing person you are. I read your previous post with some understanding as I changed course after attending graduate school (not for the same reasons) and it was a difficult realisation to come to. I can only imagine how difficult it must have been for you to come to terms with everything since you love what you do. The new magazine is a fabulous idea. I, like many others who have commented, come to your blog for the knitting, historical/cultural information, and a glimpse into your life and environs (my mum is Scottish, so I have a special interest in reading about your explorations). It is the first blog I read. You should be so proud of yourself. You are so full of determination. I know we don’t get to see all of your life and how you feel, but what you do share is compelling, highly interesting, sometimes raw, and most often inspirational (the patterns and the gratuitous doggie shots aren’t bad either:)). You have commented that you are lucky to have Tom (which you are, he sounds like a wonderful person), but he is lucky to have you too–in spite of your struggles and down days, you still manage to embrace life with gusto and do what you love with joy. We should all take a leaf out of your book regardless of what our own personal situation is. May this be the beginning to a lovely new adventure that takes you to places you never imagined. Good luck with this venture! I would love a pattern for the frock?smock? the bearded gentleman on the cover is wearing. Is it included? No, unfortunately – though I do list plenty of resources which will teach you how to make something similar! I have been reading your blog for some time and wanted you to know how much I enjoy it. The patterns, the amazing photographs, your fascinating research, the engaging writing, and of course that handsome canine of yours all make me look forward to each new post. Congratulations on the new publication, too. The history of British textiles is a topic that I have been fascinated by all my life, so I have followed your articles with great interest. How wonderful to now have your own publication for them! Thank you, thank you for sharing all of this with all of us. Is there a way of purchasing the magazine without the pattern? I can’t see myself ever knitting a Warriston (though it looks lovely on you) but I’m fascinated by the magazine! Thank you Kate, this will be wonderful! What a girl! Textiles is such a breath of literate air in the blog world. Have you had the chance to read Philip Larkin’s ‘First Sight’ yet? It is so appropriate now. !!! I’m sort of too excited to read the post, I just got a few sentences in. This is so very exciting! Can’t wait to read it all! Brilliant! And so the new era begins. I am so thrilled you are doing this! I have been sadly out of touch on the blog front, both in writing mine and commenting on other people’s. However, yours has long been one of my very favorite reads, and I am so flipping EXCITED that you are undertaking a venture like this that incorporates history and textiles and your writing, which I especially enjoy reading. Thank you! Off to look into more about Textisles! brava! can i buy access the mag without buying the pattern? I am normally simply a lurker on your blog but I have to say that this is so exciting. Congratulations ten times over! And I am selfishly excited because now I get to read interesting stuff! I am so excited to hear of your new venture! I have long admired your writing and feel there is such a need for your academic-approach-made-accessible in the world of textiles. Your articles in UK publications are not always easily found in the U.S., so I’m thrilled that your online publication will be readily available for us on the other side of the pond. I’ll toast the good news with a wee dram tonight. Bravo! What an amazing surprise. I’ve just downloaded it, and may have to postpone cooking supper… Thank you for sharing your research. Just thought I would let you know, for your own consumer research purchases, that while I like the Warriston pattern, I likely would not have bought it until I had perhaps found the right yarn and fit it in my knitting schedule – perhaps not until next year or later. With the addition of Textisles though, I will be purchasing immediately. I am sure there are others like me, great idea! Dear Kate, Thank you so much for this new pattern (I share your aversion to the dreaded Fl**ce, so it’s a perfect solution). Your last entry was also newly thought-provoking to me, as a struggling junior academic who definitely tips the work/outside life balance in the former direction, far too often. In the current climate, long hours of volunteering for little or no renumeration, in addition to long hours in outside jobs which actually pay the rent, all in order to add those items to the CV which might, eventually, result in a proper wage… the process has been so consuming this year, and even time outside work is often spent worrying about where and when the next project may or may not materialise. I have often been humbled, in these circumstances, by your entries over the past few years, and hope profoundly that your endurance and continued enthusiasm for textual culture and your other intellectual passions remain undimmed, I am thrilled to see this new venture, and look forward greatly to future issues. Congratulations and all the best for this awesome project. So cool! What a great idea. I love reading your articles and blog so something longer sounds wonderful. The sweater is the perfect looking fall pullover to go chase kiddos outside. You are right about the name, Textisles, much too great not to use. I am glad to read about this new endeavor of yours. You are endless creative and resourceful and an inspiration. You really are amazing! Textisles sounds wondrous – the perfect combination of all that I love about needled. I’d like to make Warriston as I need a decent outdoors sweater, but the pattern at the bottom will do my pear shape no favours. I’m wondering whether one could substitute something simpler. Anyway I’m pretty sure I’ll buy the pattern if only to get Textisles. now, this is fantastic. I’ve secretly hoped you would write a book about textile history one day. I’m looking forward to read Textisles soon and to make my own frock in the near future. Congratulations to and good luck with yor new venture!! That’s brilliant! History + knitting = one perfect read! For me anyway :) I’m an academic as well, and as someone who sometimes finds herself feeling trapped in the ivory tower its nice to see someone doing something “fun” with their life’s passion. Looking forward to more issues! I have just read Textisles and now have to congratulate you mightily, it is a marvellous read. I doubt I’ll knit the sweater since I haven’t knitted for over 20 years but I do like the design. You know I’ve been resisting an ipad – but this just put it over the top LOL!!! Thanks Kate – I look forward to future editions of Textisles – and I haven’t even ready the first one yet !!!! I’m speechless with joy. I actually started tearing up as I read this post. I have been so interested in smocks since you first mentioned them in connection with Warriston. I can’t wait to knit my own Warriston, as well as read Textisles. Fabulous. Thanks for making my day. Oh how stupendously awesome. And for the iPAD!!! I’m excited enough by the iPad/knitting interface, as it were, and this is further proof of the happiness of that relationship. And to be able to profit from the fruits of your labours, and to share them. Awesome piled upon awesome. My weekend starts here. Congratulations on your new venture and thanks for the many shout outs to the OED in your article on smocks and frocks, I really enjoyed it! Such excitement! I have my copy and will read it as soon as Google Reader is empty. Textisles is a wonderful idea. I will definitely purchase Warriston and the first issue. Not too sure that I benefit from those cables at the bottom- why emphasize my largest part? But I love the concept of the smock. I too would pay to subscribe to your new endeavor – with or without patterns! After reading your last post I thought, what an enormous thing to have to come to terms with. Although none of us expect our lives to run entirely according to plan, yours has certainly had to follow a radically different path. Few of us have to deal with such changes and it has been inspirational to read your public thoughts all along the way. The realization that you might not take up your academic career again, must be a very emotional experience. I came across your blog, only about a month before you suffered your stroke, whilst looking for knitting related material. I usually avoid any blogs which start to talk about children, animals, what people had for dinner and any other life content. I just want the knitting! However, yours is definitely the exception. You certainly strike the right balance between personal and textile and I love every well-written word.Thank you for sharing your extensive knowledge of all things textile and especially knitting related. So, when I read your last post I thought, I really should finally leave a comment and thank you for all your continued writing but also perhaps encourage you to write something more in-depth. And then, as if by magic, here it is! I am always hungry for more and look forward to plenty more publications. Please keep it up. Good luck with the future and I shall be following regularly. Awesome. As a recovering stroke patient you manage to do more than the hale and hearty. Best wishes on the new venture. Count me as a charter subscriber. Sharing your academic skills with the rest of us is genius. Wonderful idea, I do love your articles! Will you offer some sort of subscribtion possibility in the future? I’m continually amazed at your persistence, courage and getting-things-done-ness in the face of extreme adversity! Truly Kate, you are an inspiration. Kate, this is absolutely fantastic! The best news I’ve heard all day! Thank you so much for shining your academic light on these topics– I cannot WAIT to read it cover to cover. Congratulations on the beginning of this new venture! I am a happy knitter. The model is beautiful! I wasn’t planning to buy the Warriston pattern, as it’s not really my kind of thing, but I will definitely be buying the magazine – I find your articles absolutely fascinating and an article by you is a sure-fire way to make me buy a copy of The Knitter I’ve been dithering over in the shops. Really looking forward to reading this! 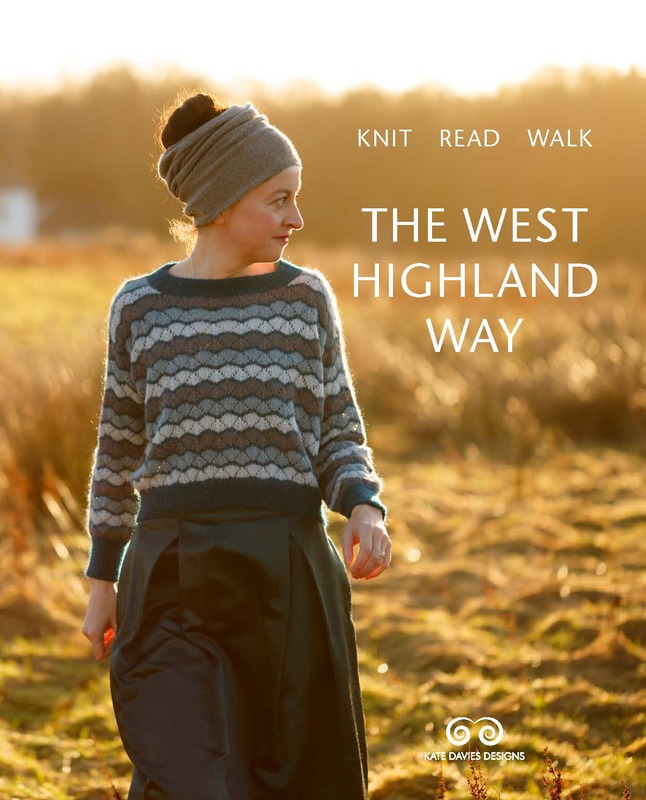 I have always lurked til now, but wanted to say that I particularly enjoy reading your blog – for the knittingness as well as the photos when you get out and about into the hills but also for the more academic research and ways of looking at the history and culture of knitting and craftwork. I appreciate the deeper probing and different ways of looking at craft, I shall definitely be a subscriber to Textisles. Had I not found out about your stroke and struggles since I would have been just as interested, but knowing this puts me in awe of your determination and productivity – and no, I’m not just saying that – I work full time as an architect and I don’t think I produce anything as interesting or beautiful as you seem to in an average week! My, you have been a busy bee! I look forward to an enjoyable read of Textisles – I am so pleased that you have chosen to release it. I think your work and research is very valuable and I find it amazing that so much knitting and fabric history is still waiting in the wings. I have always been fascinated by the history of cloth and particularly knitting – so, well done and onwards and upwards as ever. And a big thank you to boot! Oh, this is so exciting! I’m thrilled about the Warriston pattern, but even more so about the magazine – I can’t wait to read it! Once again you completely inspire me with the way you face your obstacles. 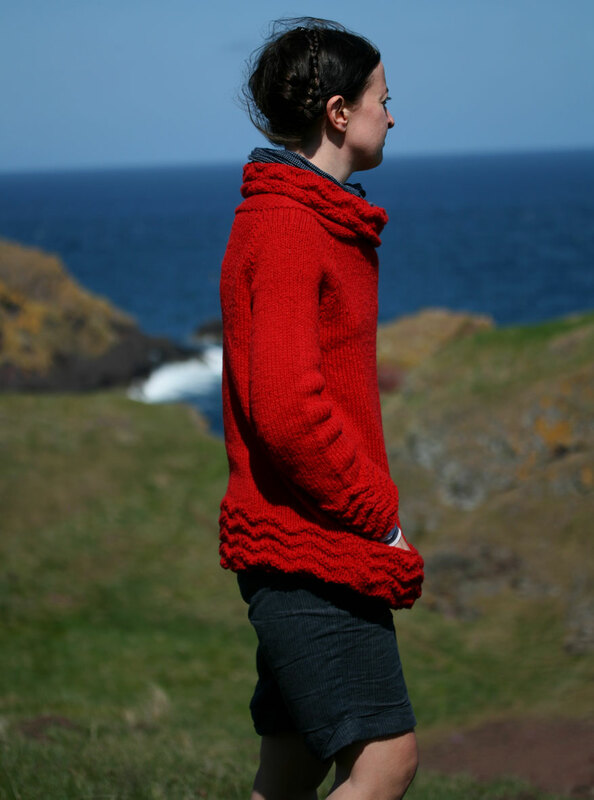 I am off to Ravelry to purchase Warriston…and can’t wait for August and Christie Johnstone! Best of luck with this new venture. Hi Kate – I have purchased it and it is down loading now. and now I have just taking a moment to glance through the pages. It really is quite beautiful and well laid out i can’t wait to read through. 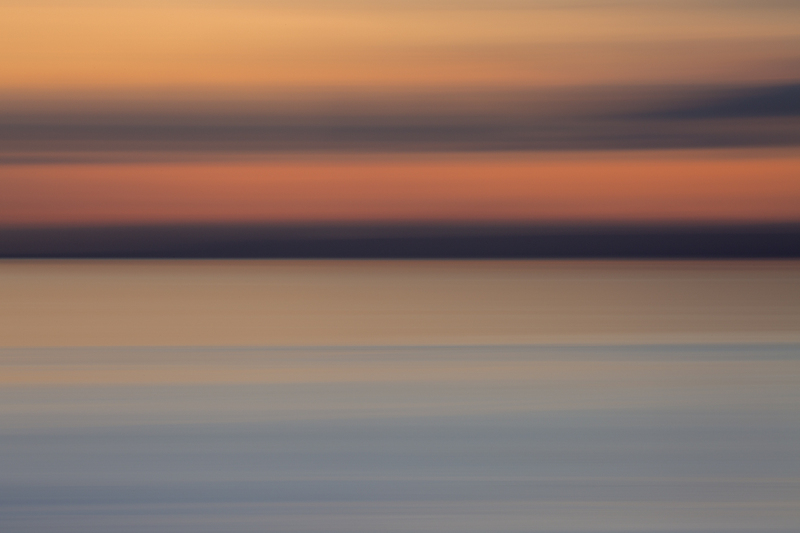 and then the pattern – well just exquisite. and then you have really hooked me with the last page…there is another issue coming Nautical. dear Kate, I’m very excited about the pattern release, and even more by the magazine bonus!! I really enjoy your work, especially as it’s so far away from mainstream academic stuff I can read here in France. I’m off to read your magazine, and looking forward to the next issue. I was already planning on buying Warriston, but this makes it that much more exciting – off to purchase now so I can begin reading! Kate, what an excellent surprise. Looks wonderful. Thank you for this. My! Kate thank you for such a lovely, thinking woman’s journal. I love Textisles. I love that it comes with a pattern. I don’t understand all the comments about wanting the publication without the pattern. The pattern is related to the research and writing; please leave it this way. I am looking forwars to moreKPH. ← stay tuned. . .